This week, Friday Blues Fix features five more outstanding recordings that you might have missed the first time around, either because they were released before you became a fan, you may not have known about them upon first release, they are no longer in print, or they got lost in the shuffle among a boatload of other great CDs that came out around the same time. Hey, it happens to me all the time. That's why we do our best to keep everybody in the loop here at FBF......to make sure that you don't miss out on some wonderful music. Let's get started. 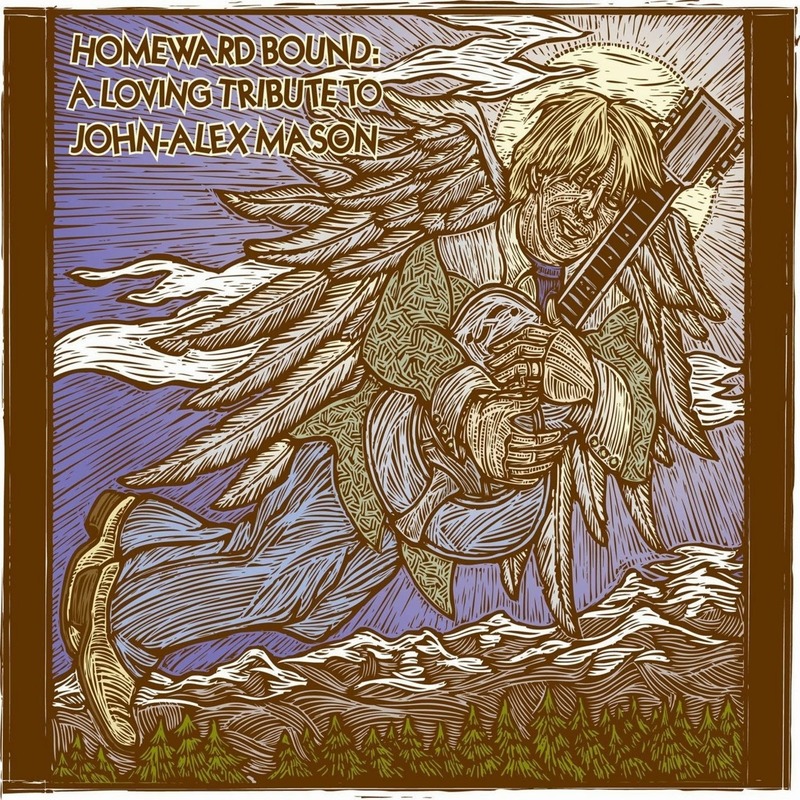 Various Artists - Homeward Bound: A Loving Tribute to John-Alex Mason: I was a latecomer to Mason's music, picking up with his great 2008 release, Town and Country, then his masterpiece, Jook Joint Thunderclap, but I loved what I got to hear. Unfortunately, he passed away not long after the release of the latter album, from complications after cancer surgery. The loss was devastating to his family (one of his children was born a few weeks after his death), his fans, and the blues community in general. A group of his fellow musicians joined forces to record a tribute disc in 2012. 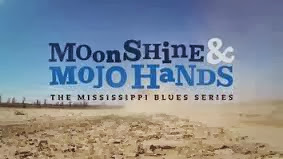 This set of blues and roots musicians included album producer Elam McKnight, Cedric Burnside, Big George Brock, Jeff Norwood, Bob Bogdal, Sam Simon, Davis Coen, Fiona Boyes, Valerie June, Microwave Dave, and others. Each brought an original tune to the disc, touching on the blues, blues-rock, roots, and country blues. It's somber at times, haunting at times, but what comes through more than anything is the love and respect that each of these artists had from Mason. Obviously, he touched a lot of lives during his short time on Planet Earth. Though the music is great, as an added incentive, money from the sales of this disc go toward a special fund that has been set up for his kids, which is a worthy cause if there ever was one. This disc can be purchased at the albums indiegogo site. 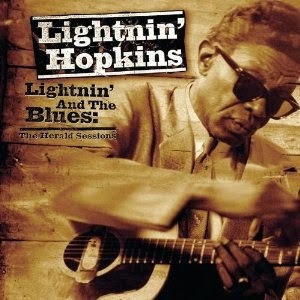 Lightnin' Hopkins - Lightnin' And The Blues: The Herald Sessions (Buddha): Everybody who considers themselves a blues fan needs at least one Lightnin' Hopkins recording in their collection. From the mid-40's until just before his death in 1982, Hopkins reportedly recorded more albums than any other bluesman, and just about all of them are worth hearing. The best thing about being a newcomer to his music is that you can really pick up just about any recording he did and not be disappointed. When Hopkins recorded this material in Houston for Herald Records in 1954, he was in a transition period. Most of his black fans had moved from his easy-going country blues style to the more modern, urban blues and R&B of the era. This is some of Hopkins' most rowdy and raucous material, he plays some of his best electric guitar, and there's also a rhythm section in support. Within a few years, Hopkins had been "rediscovered," even though he'd never left Houston, and was soon traveling the folk-blues circuit and recording even more albums for various labels, but this set stands as one of his best. It's available in several different formats from several different labels (I had the set from Collectibles back in the early 90's), but this Buddha set has the best sound and four previously unissued tracks. 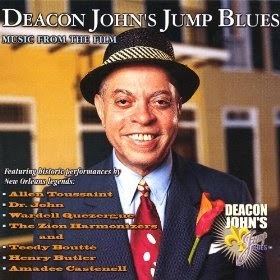 Deacon John Moore - Deacon John's Jump Blues (Image Entertainment): For many years, Deacon John has made Crescent City music lovers very happy. He's played everywhere from proms to birthday parties to fraternity formals to debutante cotillions to festivals to carnival balls to charity events to wedding receptions. 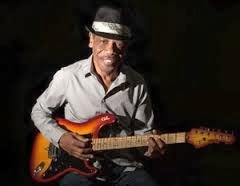 He's played blues, blues-rock, R&B, and rock & roll. In 2003, he released this ambitious set that pays tribute to the New Orleans R&B and musicians that inspired so many hits of the 40's, 50's, and 60's. The Deacon breathes new life into a boatload of familiar tunes with assistance from many local legends, such as piano wizards Allen Toussaint, Dr. John, and Henry Butler, singer Teedy Boutte, the gospel group The Zion Harmonizers, and a crack band led by Wardell Quezergue and powered by the saxophone of Amadee Castenell. It's an incredibly inspired set that could have only been better if it had been longer (only 40 minutes), but there's also a great DVD capturing a live performance of these tunes. If you're not a fan of New Orleans R&B before you hear this, you will be afterward. 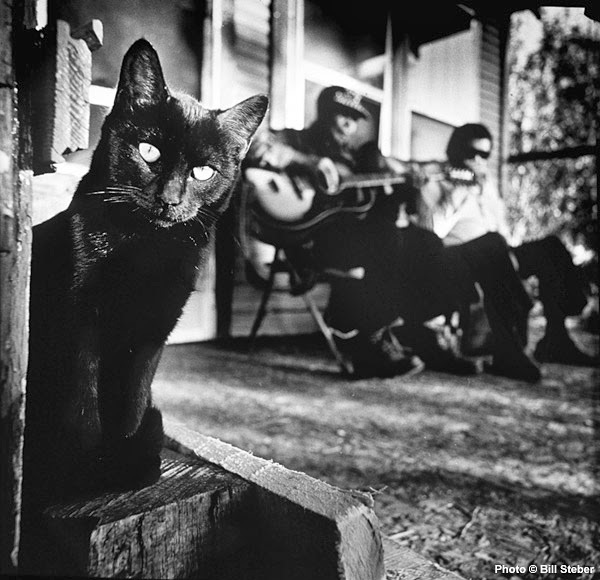 Various Artists - Broadcasting the Blues! 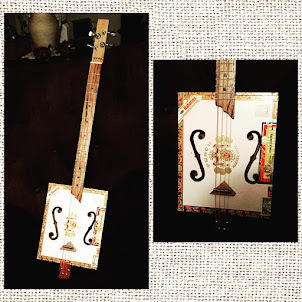 (Southwest Musical Arts): Now this is a collection that no blues fan should be without!! 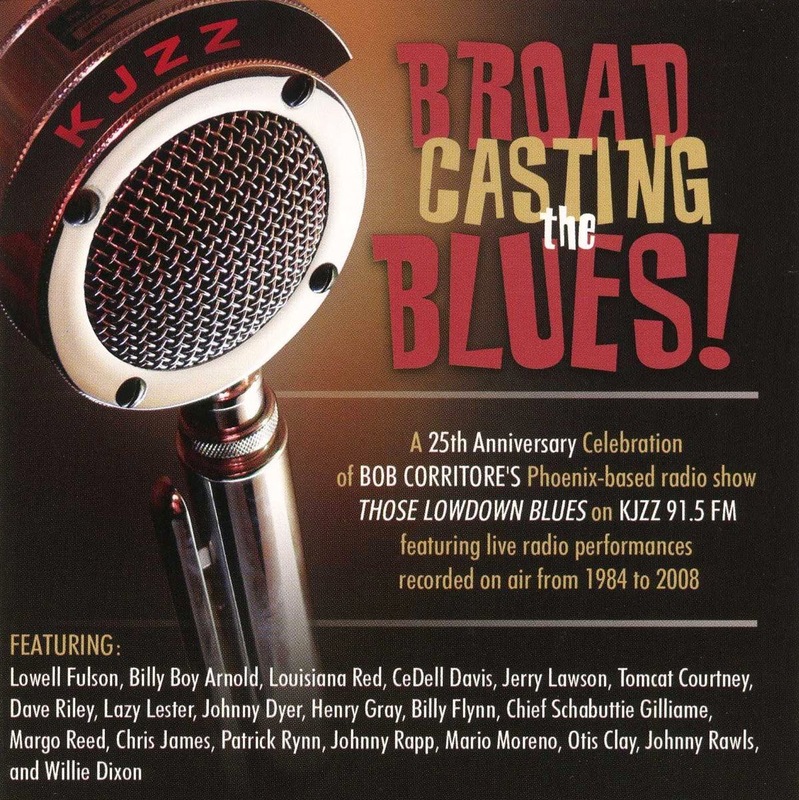 For nearly 30 years, harmonica ace Bob Corritore's radio program, Those Lowdown Blues, on KJZZ 91.5 in Phoenix, has hosted some of the biggest names in the blues, and has featured live performances from most of them. In 2009, this CD celebrated the show's 25 years of keeping the blues alive by collecting some of the finest and rarest performances from an impressive array of artists (Lowell Fulson, Billy Boy Arnold, Otis Clay, Louisiana Red, Dave Riley, Henry Gray, Johnny Rawls, and Lazy Lester.....30 tracks in all. Some highlights include Clay and Rawls teaming up for the gospel tune, "I Want To Be At the Meeting," Fulson's "Sinner's Prayer," Gray reprising his classic "Cold Chills," and a dandy pair of tunes from Lazy Lester. 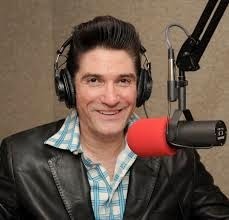 Corritore is still going strong today on the radio, with his club, The Rhythm Room, and his regular performances and recordings. You can catch Those Lowdown Blues on Sunday nights by going to the station's website and tuning in. 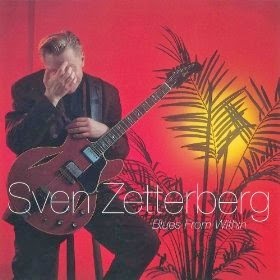 Sven Zetterberg - Blues From Within (Amigo): One of the great things about writing reviews for Blues Bytes since 1999 is that I've been able to hear some great music that I might not have ordinarily heard, especially blues from artists in other countries. As far as the blues in Sweden go, they don't come much bigger than Sven Zetterberg, who's been playing the blues since he was 12, when he learned harmonica in the style of Little Walter. By the time he was 20, he had formed his first blues bands, Telge Blues, and in the 90's he founded the Chicago Express, which was Sweden's top blues band throughout the 90's. In 1999, he released Blues From Within, his debut as a solo artist, and it's a most impressive effort, with Zetterberg playing Chicago-styled blues, Texas shuffles, and smooth urban soul. A skilled guitarist, harmonica player, and songwriter, he's also a incredibly soulful vocalist....so good that you will forget that he's actually from a few miles east of the Windy City if you're not careful. Zetterberg has been pretty prolific over the years, with some really great blues and soul recordings that show his mastery of both genres. 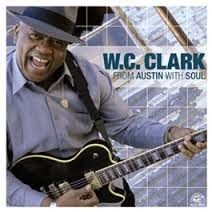 The first time I ever saw W.C. Clark was on Austin City Limits in 1990, not long after Stevie Ray Vaughan was killed. The program aired a celebration of Clark's 50th birthday, recorded in 1989, which featured appearances by the Vaughan brothers, Kim Wilson, Lou Ann Barton, and Angela Strehli, all of whom had been in one band or another with Clark since the 70's. It was a nice performance, with a lot of up-and-coming stars paying tribute to a local legend who had helped pave their way. It was obvious that all of them loved and respected Clark, based on the caliber of performances they were giving. Being naturally curious, I wanted to find out more about Clark, but of course, these were the days before the internet, when knowledge was not at the tips of your fingers, but required a lot of determination and investigative work. Needless to say, I mostly struck out at the time, but did find enough bits and pieces to stay interested. 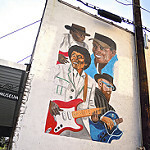 For example, I found out that Clark had been a big part of the original version of Double Trouble, that he had formed several bands over the past couple of decades that included many of Austin's up and coming blues artists, and that he had been a part of the Austin blues scene since he was a teenager in the 50's, and was commonly referred to as "The Godfather of Austin Blues." 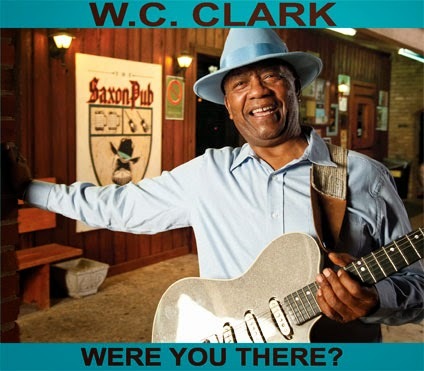 W.C. Clark was born Wesley Curley Clark in Austin, on November 16, 1939. From the beginning, he was surrounded by music....his father was a guitarist and his mother, grandmother, and sisters sang in the church choir. 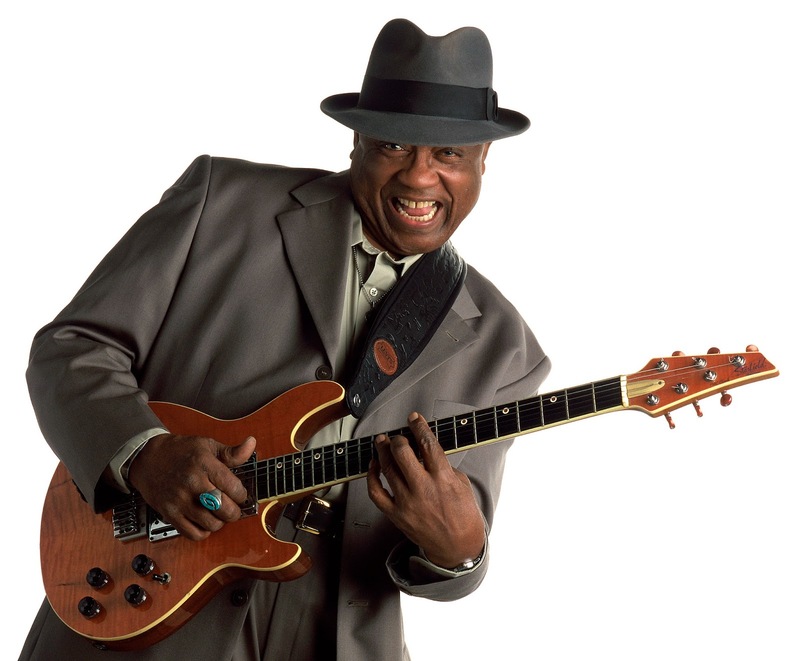 The only blues that Clark heard at home as a youth was when his stepfather played the radio, but he often hung out with his cousin, Big Pete Pearson, who played the blues and he often heard some of the older folks in his community playing as well. As a teenager, he started playing guitar and bass, joining local legend T.D. 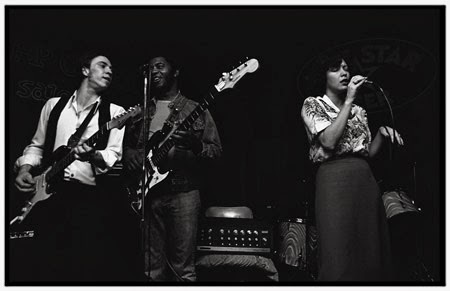 Bell's band as a bass player while working on his guitar chops on the side, then playing with Blues Boy Hubbard's band, the Jets, for six years. He met Joe Tex, who hired him to play guitar in his band. Clark traveled throughout the south with Tex, learning from him and others such as James Brown and Tyrone Davis. When Clark left Austin to tour with Tex, the blues and R&B scene in Austin was basically at a standstill with seemingly little room for improvement. After he left Tex and returned to Austin, he was pleasantly surprised at the changes that had taken place while he was gone. 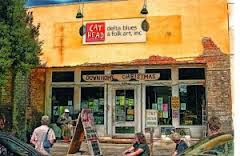 Many young, white musicians had migrated to Austin and had begun playing the blues and learning and interacting with the black blues musicians who were still plugging away. The new faces included artists like Stevie Ray and Jimmie Vaughan, Paul Ray, Denny Freeman, Bill Campbell, Angela Strehli, and Lewis Cowdrey. 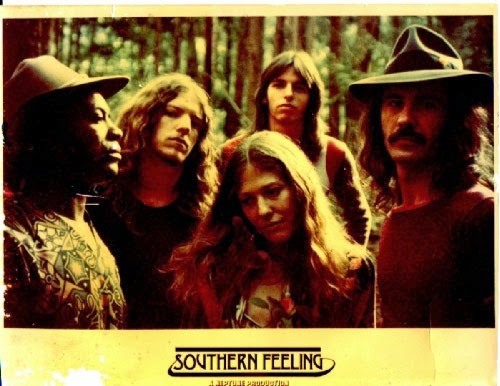 In the early 70's, Clark formed Southern Feeling with Freeman and Strehli, with the younger Vaughan occasionally sitting in with the group. While Clark had honed his performing skills while on the road with Tex, he really developed as a composer while with Southern Feeling. The group tried to sign with Atlantic Records, but the deal fell through, and the band dissolved soon after. Clark took a job as a mechanic at a local Ford plant, but Stevie Ray Vaughan was a constant visitor as he tried to persuade Clark to join a new band that he was forming. 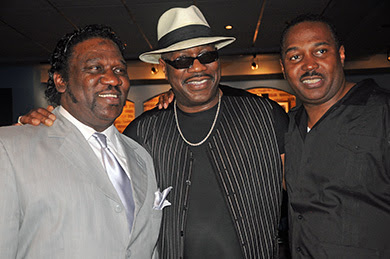 Eventually, Clark quit his day job and joined Vaughan's band, the Triple Threat Revue, which also featured vocalist Lou Ann Barton, keyboard player Mike Kindred, and drummer Freddie Pharoah. This was the earliest version of what would become Double Trouble and while Clark was with the group (he left in the late 70's to form his own band, The W.C. Clark Blues Revue), he and Kindred wrote "Cold Shot," which later became one of SRV's biggest songs. 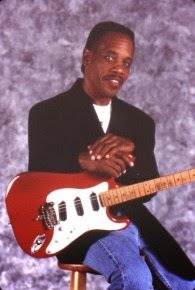 In the mid 80's, Clark released an album with his band, Something for Everybody, and he and his band became mainstays of the Austin blues and R&B scene, playing at most of the clubs and opening for many of the numerous blues acts that came and performed as part of the city's burgeoning blues scene in the 80's and 90's. As many of the young musicians that Clark took under his wing began to have successful careers in the late 80's, they started to return the favor, such as the Austin City Limits celebration of Clark's 50th birthday in 1989. 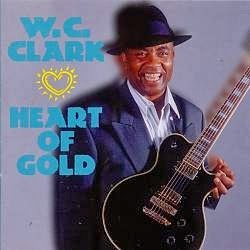 In 1994, Clark signed with Black Top Records, and released his second solo album, Heart of Gold. This disc teamed Clark with many of his Austin cohorts, including Double Trouble on a couple of tracks. 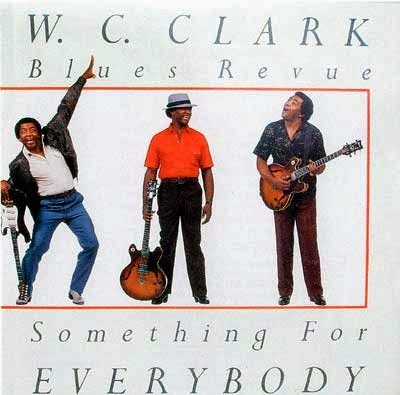 Clark showed himself to be equally adept at Texas roadhouse blues, urban blues, and greasy Memphis-styled soul on Heart of Gold and there were many great moments on the album. Clark covered a pair of songs associate with B.B. King, Latimore's "Let's Straighten It Out," and his own "Cold Shot" was given a funky shuffle treatment. He also contributed a strong set of original tunes, too, including the title track and "You've Got To Love Me." 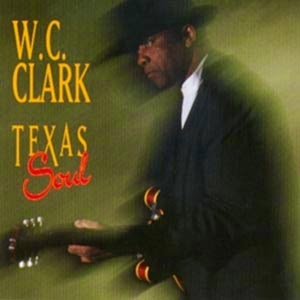 A couple of years later, in 1996, Clark released a follow-up, Texas Soul, that was just as strong as its predecessor, leaning more toward the soul side of the blues and giving Clark a lot of room to shine as a vocalist. His singing often brings Al Green to mind, especially on the Teenie Hodges/Willie Mitchell opener, "I Only Have Love For You," but he's very much his own man on songs like Willie Nelson's "Funny How Time Slips Away," and his own "Rough Edges" and "Reminiscing." In March of 1997, Clark in an accident while driving his band's van, returning to Austin from a gig in Milwaukee to play at the SXSW Festival. Clark injured his arm, but his fiancee', Brenda Jasek and his drummer, Pedro Alcoser, Jr., were both killed in the accident. 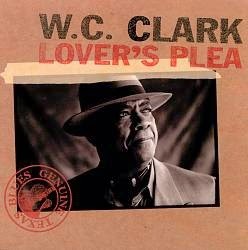 Clark took a while to recover from the accident, but resurfaced in 1998 with his third Black Top effort, Lover's Plea, which included a tribute to Jasek, "Are You There?" Black Top folded soon after Lover's Plea was released, but Clark signed with Alligator, which had distributed his last Black Top release. 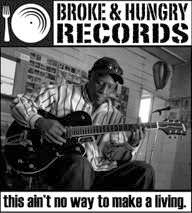 In 2002, he released From Austin With Soul, and it ranked with his best recordings. In addition to several great new originals, he covered songs from Clarence Carter ("Snatchin' It Back"), O.V. Wright ("I've Been Searching"), Bobby Bland ("You've Got Me Where You Want Me"), and even ventured down to New Orleans for the Lee Dorsey classic, "Get Out of My Life Woman." A couple of years later, he returned with his sophomore Alligator release, Deep In The Heart, which featured more great blues and soul originals and covers, notably John Hiatt's "Tip of My Tongue." 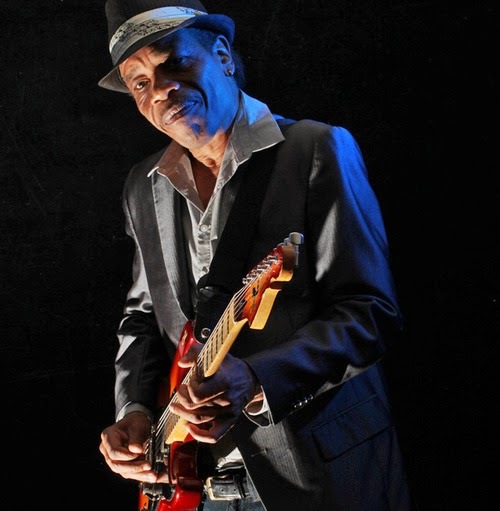 Clark has toured extensively since, all over the U.S. and throughout the world. Over time, he has become as familiar to many blues fans as the youngsters he helped along the way while he played such a huge role in the development of Austin as a music city. In 2011, he released an album on his own label, called Were You There? This set captured many fan favorites of his live repertoire....songs originally done by others that he has made into his own. 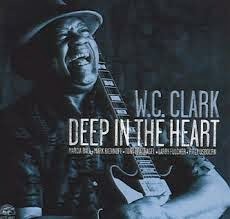 If you like your blues mixed with a heavy dose of soul, W.C. Clark provides all that you will ever need. 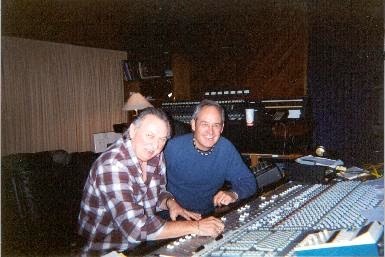 His mixes the roadhouse blues of his mentor T.D. Bell and his protege' Stevie Ray Vaughan with the urban blues style of B.B. King and Bobby Bland and a healthy dose of Memphis-based soul in the tradition of Stax Records and Al Green. Now that's a gumbo that worth a second helping every time! This week's Friday Blues Fix is a short one. 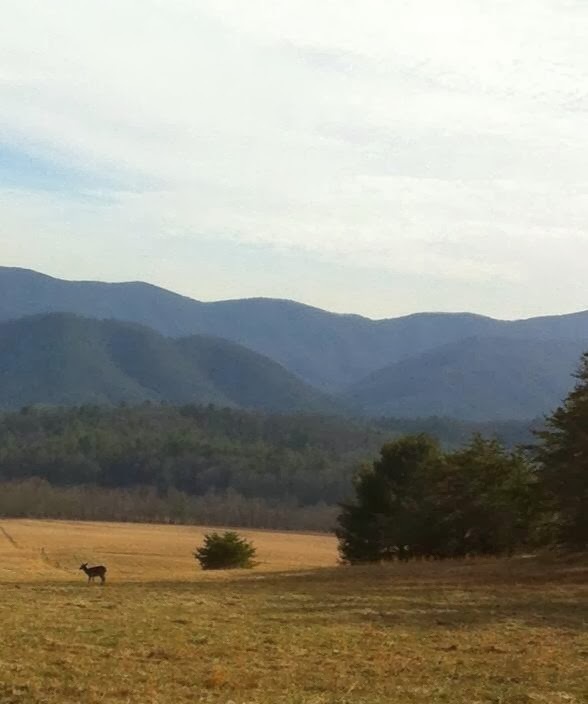 Your humble correspondent is spending most of the Spring Break week in the mountains, where the views are breathtaking and the internet connection is sporadic at times (plus, I left my laptop at home), so we will pick up again next week at the same time and place with a new post. In the meantime, while we "Take Five" this week, please take advantage of our new format to go through our archive of 200+ previous posts with ease and maybe you'll find something you missed the first time around. We have dozens of reviews of old and new albums, movies, and books, multiple interviews (Ten Questions With....) with a lot of blues movers and shakers, several profiles of blues legends and some that should be legends, histories of various blues labels, and a dozen or so segments of our "Something Old, Something New, Something Borrowed, Something Blue" series. Rest assured that if you're a blues fan, you will find something here to enjoy, so check it out and we will see you here again next Friday. 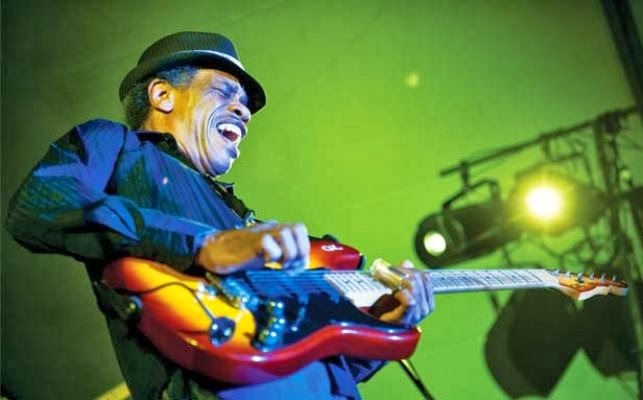 We read all the time about blues musicians who are seemingly on the verge of something big, only to have tragedy knock them for a loop or out of the game completely. That's why it's always good to hear a blues story with a happy ending. 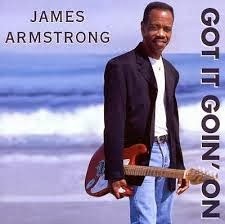 In the mid 1990's, James Armstrong was seemingly on top of the blues world. Raised in the Los Angeles area, he was raised by a father who played jazz guitar and a mother who sang the blues. 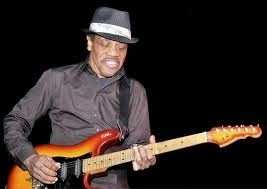 He was the youngest guitarist to ever play in Smokey Wilson's band. He also helped found the SoCal band, Mama Roo, who released an album in the early 90's. In 1995, Armstrong was signed by San Francisco-based Hightone Records. 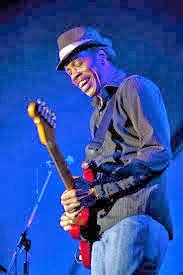 The label had previously released albums by other notables like Robert Cray and Joe Louis Walker, and in 1996, Armstrong's debut release, Sleeping With A Stranger, became the latest in a series of essential blues releases for the label, winning critical acclaim for Armstrong, not just as a singer and guitarist, but also as a first-rate songwriter. 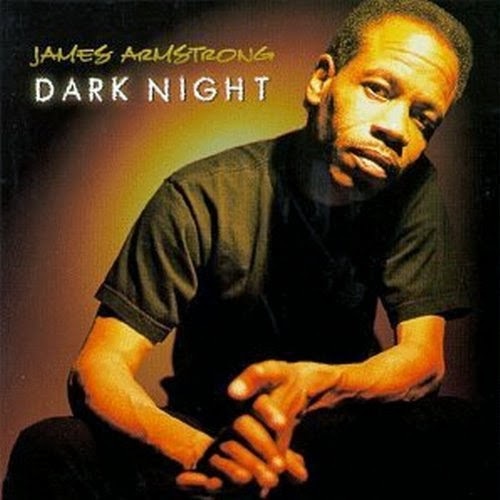 However, in 1997, as Armstrong was preparing to tour in support of his debut, he was attacked in his home by a robber, who nearly stabbed him to death and nearly killed his young son, James, Jr. The attack left Armstrong unable to use his left arm and hand, causing permanent nerve damage, but he picked himself up and after months of grueling therapy, sheer perseverance and determination, along with much encouragement from friends, fans, and fellow musicians, Armstrong taught himself to play guitar again, and was able to record and release a second album, Dark Night, in 1998, with help from guitarists Michael Ross, Joe Louis Walker, and Doug MacLeod. By 2000, Armstrong was assuming the lion's share of guitar work on his next album, Got It Goin' On, breaking out some impressive slide guitar. The songwriting and singing talents had never left him, and now the guitar was on it's way back, too. 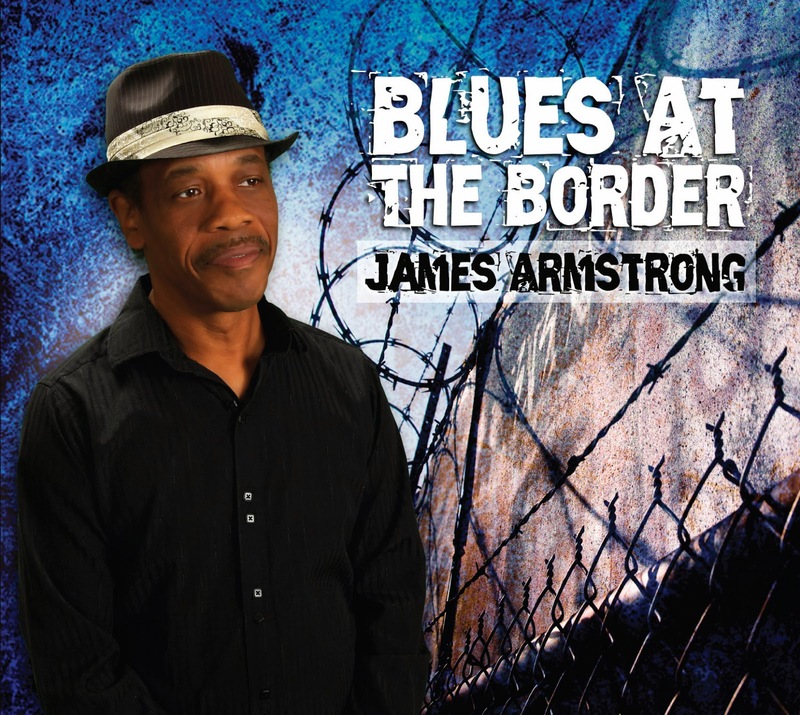 After a lengthy absence from the studio, Armstrong signed with Catfood Records, one of the best of the newer soul and blues labels, and released Blues On The Border in late 2011. Last month, Armstrong returned with Guitar Angels, which may be his best recording yet. His songwriting is as potent as ever, showing a highly personal look at some familiar blues themes, while also delivering a few tunes that put a smile on your face and a hop in your step. It's one of FBF's favorite releases so far this year. 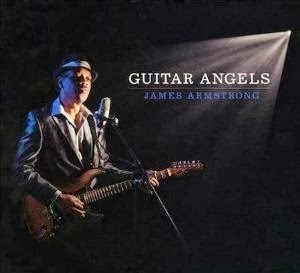 If you're not familiar with James Armstrong, you need to get on board and see what you are missing.....great original songs, soulful vocals, and strong guitar work. Guitar Angels is a great place to start, but you definitely will want to hear more. Mr. Armstrong was nice enough to sit down and endure one of FBF's Ten Questions With....sessions, even going the extra mile and answering a few extras. We thank him for his time and we hope that you enjoy the conversation. When you're done, check out his website, www.jarmblues.com, and all of his music. You can thank me later. Friday Blues Fix: Your mother and father were both musicians. What do you see in your musical style that you inherited, or learned from them? James Armstrong: From my father, I think I learned the love of Jazz and how Blues and Jazz are connected. From my mother, I learned how to love a beautiful voice. FBF: Did you know from an early age that you wanted to be a musician? What do you think you would be doing if you weren't a musician? JA: I grew up with just my father and he played guitar constantly, so there was music in the house all the time. I always knew I wanted to be a musician. My father gave up music to raise me and became a painting contractor. I imagine I would have followed in his footsteps if not for music. JA: Growing up, I basically listened to Hendrix, Eric Clapton, Van Morrison……etc. I enjoyed rock in my early days. My first touring band at 17 was a country band. FBF: When did you decide to focus on the blues? JA: Where I grew up on the beach in Santa Monica, California, there weren't any young African Americans playing the blues. In 1980, I thought I could change that. 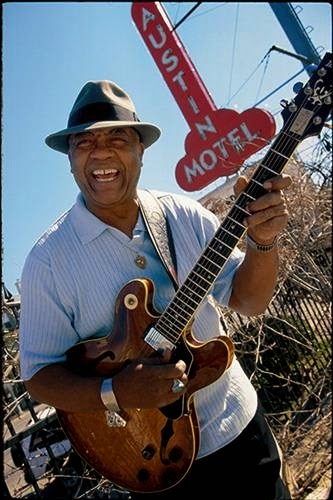 So I started listening to just blues….nothing else. That's the time period of my life I call "Coming Back Home." FBF: On your new CD, Guitar Angels, you recognize a few of your influences, including your father, Coco Montoya, and Joe Louis Walker. How did each one of them influence your guitar style? What other guitarists were influences? 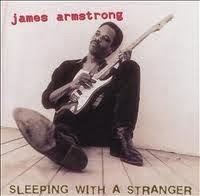 JA: My father, James Armstrong Sr., in the beginning was my biggest influence in music. He taught me how to read and write music at an early age. In my early teens, Coco Montoya turned me on to more modern blues. With Coco being an upside-down guitar player I realized there was a lot of different ways to play chords. Jimi Hendrix was a huge inspiration; I loved his guitar effects and approach. FBF: What are some of your favorite tracks on Guitar Angels? 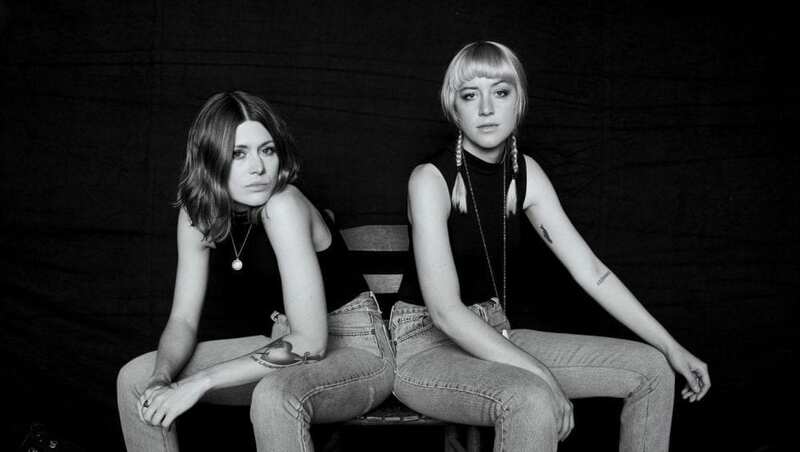 FBF: You have a songwriting style that puts a personal spin on contemporary topics, but you manage to keep one foot in the traditional blues sounds. Plus you have a great sense of humor and a clever turn with a phrase or a hook. Who are some of your influences as a songwriter? JA: Listening and playing country music prepared me for songwriting. Some of the humor in my writings comes from talking and listening to Albert Collins. Albert had so much humor in many songs. I love to laugh and write about life events. When I meet Bruce Bromberg of Hightone Records, and also Doug MacLeod, they took me to another level of songwriting, showing me how to take any experience and turn it into a song. When you really dig deep and bare your soul, those are the songs that seem to be the ones that connect with your audience. FBF: How do you like working with Catfood Records? JA: Working with Bob Trenchard of Catfood Records is wonderful. Bob is a fantastic songwriter and musician. He enjoys soul music, so for me to take his ideas and transform them into my blues style is a fun challenge. Bob has brought together a great team of musician for me to work with from Texas. FBF: I really like your take on the old Eagles song, “Take It to the Limit,” on Guitar Angels. What are some of your favorite albums or songs….blues or any other genre? JA: “Take It To The Limit” is my first recorded cover song. I used to listen to the Eagles and play their music when I was young. I always enjoyed that song. Changing it from an extremely slow ballad to a swing shuffle just came to me while driving from a show in Chicago one night. I'm still amazed sometimes I made it work. FBF: Do you have any interesting stories from your career as a musician that you would like to share? JA: When I was young and wanting to be the next Jimi Hendrix, I thought whenever I would meet one of his band members would be the time I arrived at success. I knew it would take many years to meet one of them, but that was my goal, to get really good so I could meet one of them. When I was 22 years old, Coco Montoya used to take me to The Central, a VIP music club in Hollywood. One night he said, “James, come here. I want you to meet someone.” He said, “James, this is Mitch Mitchell (Hendrix Drummer). Mitch Mitchell, this is James Armstrong.” For me to meet Mitch and a few weeks later play 2 gigs with him was overwhelming, because that was my goal in life was to get so good, I would meet him. At 22 years old, I knew I wasn't good. So for many years I struggled to find another musical goal in my life. FBF: Your perseverance in recovering from your injuries suffered in the attack is just amazing. What did you have to change about your guitar playing style? What did you have to go through to be able to play again? JA: My injury in 1996 changed everything. There was a long period that I thought I would never be able to play guitar. The nerve damage to my left hand eased very slowly. To move the two fingers (index and middle finger) on the guitar hurt for many years. Not being able to use my third and fourth fingers I had to learn how to play everything differently. Not being able to play fast was a huge issue for me in the beginning, but it turned out to be a blessing. With my injury it's impossible to play fast. I always wanted to sound like the older blues players, and they didn't play fast. FBF: Your son, James, was also injured in the attack, and you later wrote a song about him (“Lil’ James”) that is one of my favorites…..how is he doing these days? JA: My son James Jr. was injured in the attack. He is now 20 years old and for the last two years he has been playing guitar. We are collaborating on music. He's not into blues yet. Just to hear him talk about and love music the way his old man does, for me it's a gift from GOD.